Picture the scene: rain falls and thunder peals as a swollen river spills past its banks. Where will it flow? Is the neighborhood/bridge/treatment plant/hospital safe? In flood or other disaster situations, answers to these questions are more than academic—they could be life and death. While predicting rainfall can be quite dodgy, it is possible to get a good idea where that rainfall will go and how close it will come to important landmarks…if you have a good understanding of the “what” and “where” of the landscape and the structures in and on it. Photos certainly help visualize, but they only show the surface. To plan for and react to disasters, as well as for more mundane regular management of resources and physical assets, ideally you would know not only the appearance of objects across wide areas but also their precise dimensions and locations in 3D space. And you would be able to gather this data quickly and easily without having to take a tape measure to every centimeter of landscape in your area. That capability would be very valuable, and it would be in demand by all sorts of applications all around the world. Not surprisingly then, smart people have invented technology to do just that, and one of the most effective and efficient approaches is to combine digital imaging with lidar. Lidar (a portmanteau of “light” and “radar” sometimes expressed as an acronym of “Light Detection and Ranging”), is a remote sensing technology for measuring distance by scanning the reflections from objects illuminated by a laser. The technology was born in the 1960s, closely following the development of lasers; as with radar, distance is calculated by measuring the time for a projected signal to return. The intensity of the return signal also depends on how well the target surface reflects or absorbs the laser wavelength, which can help determine its physical and chemical composition. Modern lidar systems use eye-safe wavelengths and intensities of light, both visible and NIR. Mounted to aircraft or vehicles, systems such as those from Optech (a Teledyne majority-owned company) sweep their surroundings hundreds of thousands of times per second, creating 3D point clouds that identify the precise location of objects in geometric space. GPS integration means the data points are also located geospatially. 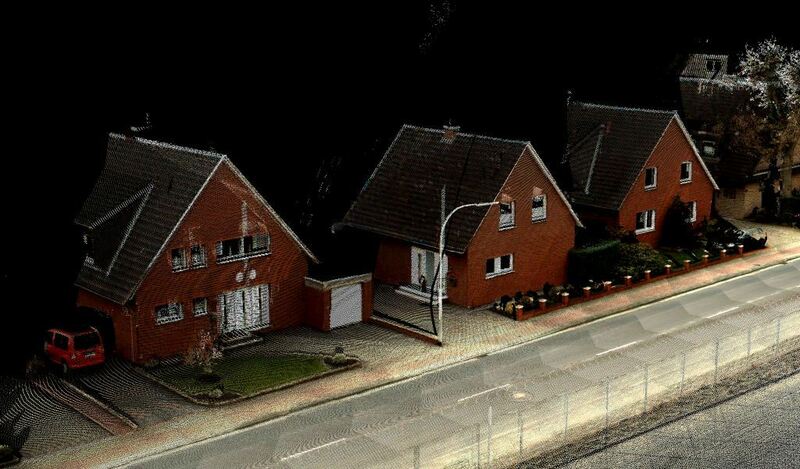 So by merely driving through a street or flying over an area, lidar survey instruments can create 3D models of their surroundings, including buildings, roads, wires, trees, landforms, glaciers, water, and other features with detail on the scale of centimeters or even millimeters. And because these are 3D models, they can be rendered from any perspective, allowing you to “fly through” the scene. The models don’t stop on land either. 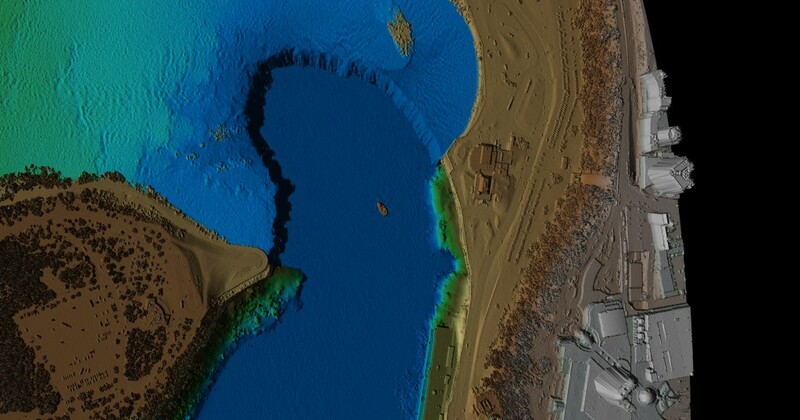 Especially configured lidar wavelengths can penetrate water, so depending on clarity, airborne lidar surveying systems can capture detailed 3D models of shorelines, waterways, and coasts up to 80m deep. The Optech CZMIL airborne bathymetry system is in current use by various government agencies, collecting detailed bathymetric and water column information even in turbid water conditions. 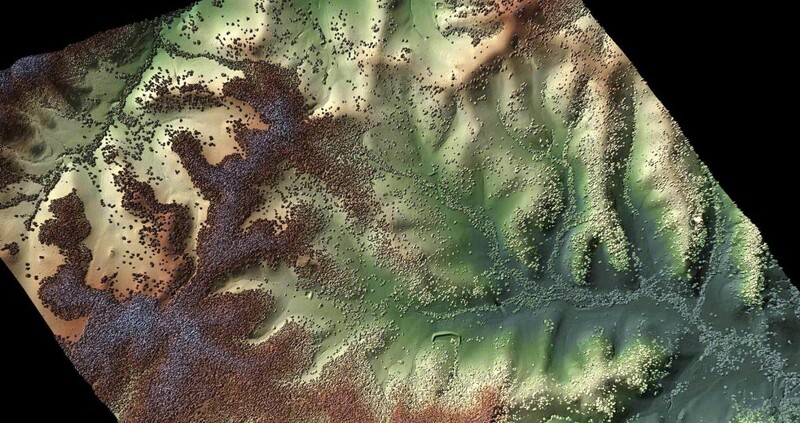 Lidar can also slip between the leaves and branches of vegetation, providing not only the height and shape of a forest canopy, but the individual trees and the ground below it as well. The spatial information becomes even more valuable when combined with high resolution visible or multispectral imagery. Combining appearance with spatial data is powerful for applications that range from cartography and land use planning to agriculture, archeology, forestry, meteorology and atmospheric research, geology/geomorphology, urban mapping, and disaster management—whether reacting to disasters, or planning to avoid them. So in our flood threat example, an airborne survey would give immediate topographic information to identify risk areas. It doesn’t even have to be done during daylight—the laser in lidar provides its own illumination. Comparing with a reference survey from before flooding would immediately reveal how far water has risen, what structures have been damaged, how any water courses have changed, and which roads are passable to relief efforts (and likely to stay that way). Surveying from above avoids endangering personnel or requiring a local setup in the affected area, and quantifies infrastructure damage quickly so that authorities can act without delay or uncertainty. It’s no surprise then why so many industries and applications depend on lidar mapping. No, it can’t tell you how much rain will fall. But it will give you excellent insight into where NOT to build your house.